look at this patient's leg. what single test you want to do? 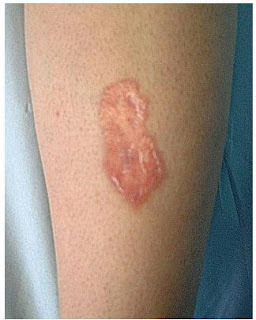 what other skin conditions associted with this condition? well demarcated plaques with shiny atrophic surface and yellow waxy centre on the shins. check the urine for suger.